by Tim F.at11:00 am on November 22, 2016 . It has 16 Comments. Here are some more great photos taken by readers of the blog. This one took a while because my blogging time is really curtailed right now, but I hope to do two or three of these a week. I thought this time we would go with a couple of critters. Photographers, feel welcome to talk about gear or technique in the comments. If you want to participate, email me a link to a couple of your favorite pics on a photo site like Flickr (do not send the image itself please) and I will put them up in open threads. Send a short caption if you want and let me know how you want to be identified. If your computer cannot read our email links at top right, my email is (remove the zeroes): portus0jackson0ii at yahoo dot com. There was a good discussion about sharing photos anonymously in our last photo thread. This post is in Photo Blogging. So these are photos from the future, then? 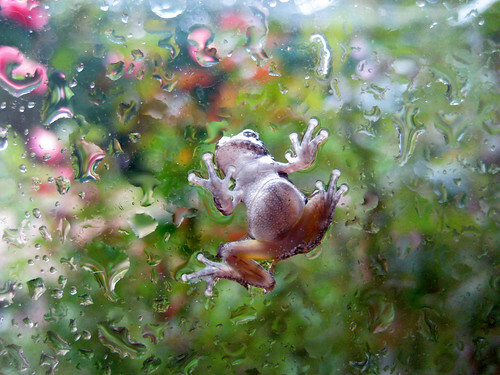 The frog photo is wonderful and I would love to have it in my main bathroom. Both photos are amazing. Was the marmot in the wild? I now have that line from a song “Got a message from the future” going through my head. @Chris: At least it’s an ethos. @bemused: it almost looks like a painting and would make a gorgeous stained glass window. Oh, these are wonderful! The frog is amazing – is that “as taken” or did Auntie do any adjusting? 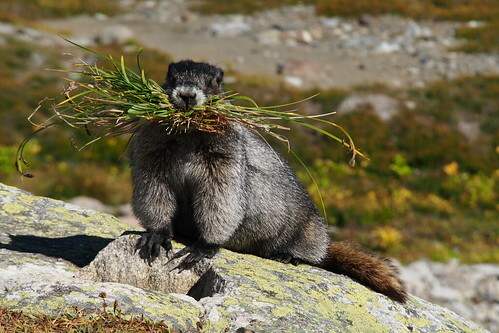 I was wondering what the diff is between a marmot and a groundhog, so I looked it up – turns out “marmot” is the name for a lot of ground squirrels (genus Marmota), and includes groundhogs. @Gindy51: It would make a great fused glass piece, too – and I’m always on the hunt for images to work with. Tim, can we contact the photographers to ask permission to use their images? I may seriously want to try putting that frog in fused glass. Oh yeah? Well you’re a hoary human! @Josie: A wild, Canadian marmot with socialist healthcare.